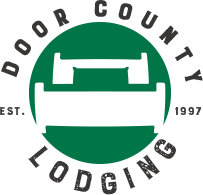 Welcome to Door County Lodging! Come experience the exquisite natural beauty, which only Door County can offer. With 5 state parks, 10 lighthouses, an internationally known Arts Community and more than 300 miles of shoreline, our picturesque peninsula is truly a unique year-round vacation destination. DC Lodging offers an eclectic collection of resorts, hotels, lodges and inns, second to none. We hope you take time out to experience some of the many ways Door County is here to entertain and accommodate. Over the past decade, the Peninsula has also gained a high reputation for cuisine. Fine Dining in Door County is the theme of our sister publication DoorCountyChefs.com. Check out the latest Guide to Restaurants in Door County.